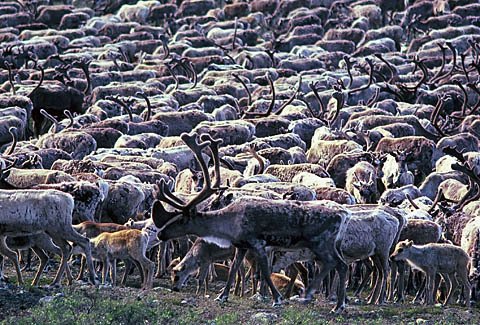 1992: When Caribou Reigned – Famed northern biologist and canoe guide, Alex Hall, writes about the magical summer of 1992; of the days of countless caribou, muskoxen and wolves, which now seem to be in decline. The lives of the caribou are inextricably interwoven with that of the Arctic wolf, and many other animals that Alex and his clients used to see in abundant numbers over many years. But things have changed. See Page 6. 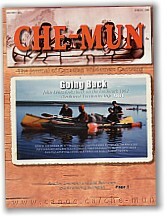 Last issue to be archived. Will rail lines of Trans-Ungava Express cross northern Quebec? HCC in its dotage – A letter on Che-Mun going all electronic.